Marine Scotland. (2016). Wild Seaweed Harvesting Strategic Environmental Assessment Environmental Report, written by ABP Marine Environmental Research Ltd. (ABPmer). Retrieved from: https://beta.gov.scot/publications/wild-seaweed-harvesting-strategic-environmental-assessment-environmental-report/ (accessed 30th October 2018). Burrows M.T., Fox, C.J., Moore, P., Smale, D., Sotheran, I., Benson, A., Greenhill, L., Martino, S., Parker, A., Thompson, E., Allen, C.J. (2018) Wild Seaweed Harvesting as a Diversification Opportunity for Fishermen. A report by SRSL for HIE, pp. 171. Retrieved from: http://www.hie.co.uk/common/handlers/download-document.ashx?id=0336008d-db41-4b61-a9bd-6bfcbd31c876 (accessed 30th October 2018). (n.d.) [No description]. Kain, J. 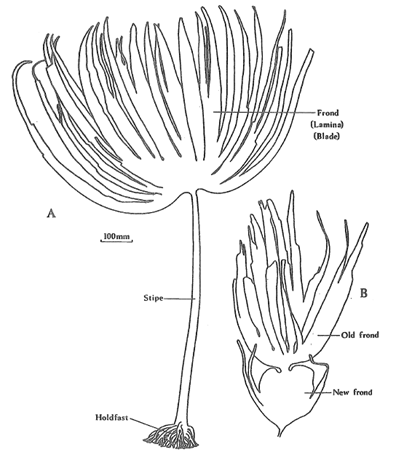 (1971) Synopsis of Biological Data on Laminaria hyperborean. FAO Fisheries Synopsis No. 87. (n.d.) [No description]. Fuller, I. (1999). Kelp Forests. [No description]. Burrows, M.T., Smales, D., O'Connor, N., Van Rein, H and Moore, P. (2014) Marine Strategy Framework Directive Indicators for UK Kelp Habitats Part 1: Developing proposals for potential indicators. JNCC Report No. 525. SAMS/MBA/QUB/UAber for JNCC, JNCC Peterborough. Retrieved from http://jncc.defra.gov.uk/page-6820 [accessed 9 November 2019]. (n.d.) [No description]. Fuller, I. (1999). Kelp Forests, SNH publication. Retrieved from: https://www.nature.scot/sites/default/files/2018-10/Publication%201999%20-%20Scotland%27s%20Living%20Landscapes%20-%20Kelp%20Forests.pdf [accessed 9 November 2018]. [No description]. Smale, D. A., Burrows, M. T., Moore, P., O'Connor, N., & Hawkins, S. J. (2013). Threats and knowledge gaps for ecosystem services provided by kelp forests: a northeast Atlantic perspective. Ecology and Evolution, 3(11), 4016-4038. DOI: 10.1002/ece3.774. Retrieved from: https://pure.qub.ac.uk/portal/files/5970848/Smale_et_al_13.pdf [accessed 29th October 2018]. (n.d.) [No description]. Burrows, M., Hughes, D., Austin, W. E. N., Smeaton, C., Hicks, N., Howe, J., Vare, L. (2017). 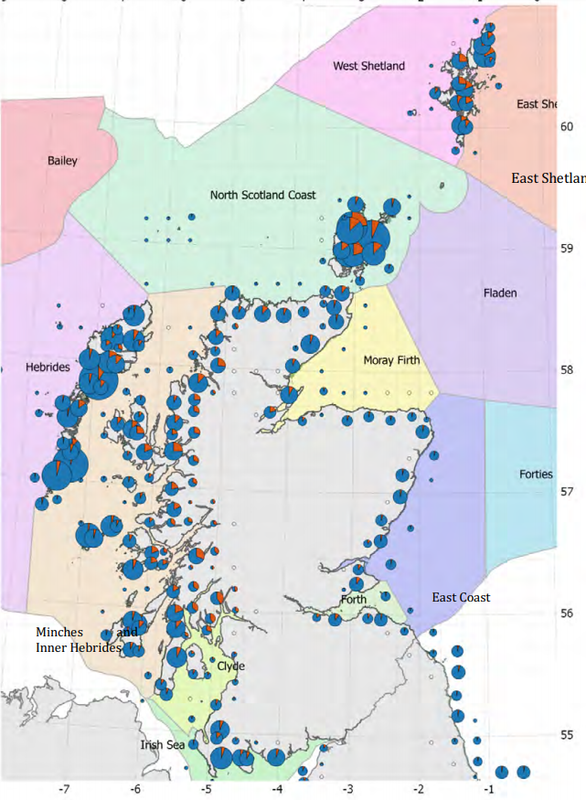 Assessment of Blue Carbon Resources in Scotland's Inshore Marine Protected Area Network. Scottish Natural Heritage. Retrieved from: https://pure.uhi.ac.uk/portal/files/2073380/957.pdf (accessed 30th October 2018). (n.d.) [No description]. Burrows M.T., Kamenos N.A., Hughes D.J., Stahl H., Howe J.A. & Tett P. (2014) Assessment of carbon budgets and potential blue carbon stores in Scotland’s coastal and marine environment. Scottish Natural Heritage Commissioned Report No. 761.. (n.d.) [No description]. Mork, M. (1996). “Wave attenuation due to bottom vegetation,” in Waves and Nonlinear Processes in Hydrodynamics, eds J. Grue, B. Gjevik, and J. E. Weber (Oslo: Kluwer Academic Publishing), 371–382. Retrieved from: https://link.springer.com/chapter/10.1007%2F978-94-009-0253-4_30 [accessed 9 November 2018]. (n.d.) [No description]. SNH. (2016). Commissioned Report 406: Descriptions of Scottish Priority Marine Features (PMFs). Capuzzo, E. and McKie, T. (2016) Seaweed in the UK and abroad – status, products, limitations, gaps and Cefas role. A report by the Centre for Environment, Fisheries & Aquaculture Science. Retrieved from: https://assets.publishing.service.gov.uk/government/uploads/system/uploads/attachment_data/file/546679/FC002I__Cefas_Seaweed_industry_report_2016_Capuzzo_and_McKie.pdf (accessed 29th October 2018). (n.d.) [No description]. MacMonagail, M., Cornish, L., Morrison, L., Araújo, R. and Critchley, A.T., (2017) Sustainable harvesting of wild seaweed resources, European Journal of Phycology, 52:4, 371-390, DOI: 10.1080/09670262.2017.1365273. Retrieved from: https://www.researchgate.net/publication/320306943_Sustainable_harvesting_of_wild_seaweed_resources (accessed 29th October 2018). (n.d.) [No description]. Marine Scotland (2016) Wild Seaweed Harvesting Strategic Environmental Assessment Environmental Report, written by ABP Marine Environmental Research Ltd. (ABPmer). Retrieved from: https://beta.gov.scot/publications/wild-seaweed-harvesting-strategic-environmental-assessment-environmental-report/ (accessed 30th October 2018). (n.d.) [No description]. Duarte CM, Wu J, Xiao X, Bruhn A and Krause-Jensen D (2017) Can Seaweed Farming Play a Role in Climate Change Mitigation and Adaptation? Front. Mar. Sci. 4:100. doi: 10.3389/fmars.2017.00100. Retrieved from: https://www.frontiersin.org/articles/10.3389/fmars.2017.00100/full#B59 [accessed 7th November 2018]. (n.d.) [No description]. Marine Scotland (2017) Seaweed Cultivation Policy Statement. Retrieved from: https://beta.gov.scot/publications/seaweed-cultivation-policy-statement-2017/pages/2/ (accessed 30th October 2018). (n.d.) [No description]. Buschmann, A.H., Camus, C., Infante, J., Neori, A., Israel, A., Hernández-González, M.C., Pereda S.V., Gomez-Pinchetti, J.L., Golberg, A., Tadmor-Shalev, N., Critchley, A.T., (2017) Seaweed production: overview of the global state of exploitation, farming and emerging research activity, European Journal of Phycology, 52:4, 391-406, DOI: 10.1080/09670262.2017.1365175. Retrieved from: https://www.researchgate.net/publication/320306944_Seaweed_production_overview_of_the_global_state_of_exploitation_farming_and_emerging_research_activity (accessed 29th October 2018). (n.d.) [No description]. Macleod, A., Campbell, I., Sahlmann, C., Neves, L., Funderud, J., Overland, M., Hughes, A., Stanley, M. (2018) ‘The environmental risks associated with the development of seaweed farming in Europe - prioritizing key knowledge gaps’ Frontiers in Marine Science, accepted, in revision.. (n.d.) [No description]. Bak, U.G., Mols-Mortensen, A.M., and Gregersen, O. (2018) Production method and cost of commercial-scale offshore cultivation of kelp in the Faroe Islands using multiple partial harvesting. Algal Research, Vol 33, Pages 36-47. Retrieved from: https://doi.org/10.1016/j.algal.2018.05.001 (accessed 29th October 2018). (n.d.) [No description]. ABPmer (2018) Wild Seaweed Harvesting Scoping Report AMPmer Report No. R.3007. A report produced by ABPmer for Marine Biopolymers Ltd, July 2018. 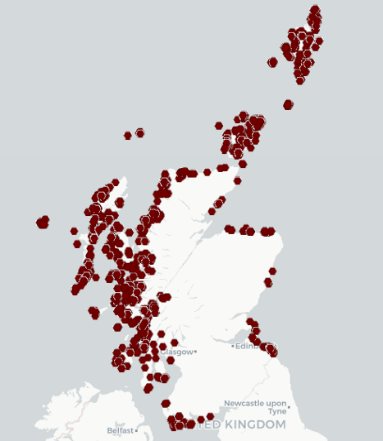 Retrieved from: http://marine.gov.scot/sites/default/files/r3007_wild_seaweed_harvesting_scoping_report_17july2018lr_0.pdf (accessed 29th October 2018). (n.d.) [No description]. Marine Scotland Licensing Operations Team Scoping Advice Letter to Marine Biopolymers Ltd (2018) Retrieved at: http://marine.gov.scot/sites/default/files/mbl_scoping_advice_-_signed_-_03_oct_2018_redacted_0.pdf [accessed 9 November 2018]. (n.d.) [No description]. Scottish Environment LINK (2018) Consultation Response to the Wild Seaweed Harvesting Scoping Report by Marine Biopolymers Ltd. By the Scottish Environment LINK Marine Group. Retrieved from: http://www.scotlink.org/wp/files/documents/SE_LINK_Response_Marine-Biopolymers-Scoping-Report_2018.pdf (accessed 30th October 2018). (n.d.) [No description]. Mesnildrey, L., Jacob, C., Frangoudes, K., Reunavot, M., Lesueur, M. (2013) Seaweed industry in France. Report Interreg program NETALGAE. Retrieved from: https://core.ac.uk/download/pdf/52846263.pdf (accessed 30th October 2018). (n.d.) [No description]. Kelly, E. (ed.) (2005) The role of kelp in the marine environment. Irish Wildlife Manuals, No. 17. National Parks and Wildlife Service, Department of Environment, Heritage and Local Government, Dublin, Ireland. Retrieved from: https://www.npws.ie/sites/default/files/publications/pdf/IWM17.pdf [accessed 7th November 2018]. (n.d.) [No description].